Kpangolo is a local pidgin English slang, popularly used in Nigeria. Generally, Kpangolo means "tin" as in "milk tin" etc. But it can also mean "empty" which is what Emmykokz and Haychbeatz sing about in this song. The message of the song is very clear: without Jesus in your life, your life is empty (your life na kpangolo). In short, they preach a socially conscious gospel, which gospel music should be doing more often. 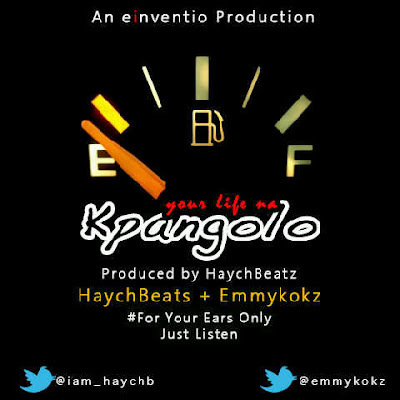 Emmykokz and Haychbeatz are both artistes and music producers, based in Abuja. 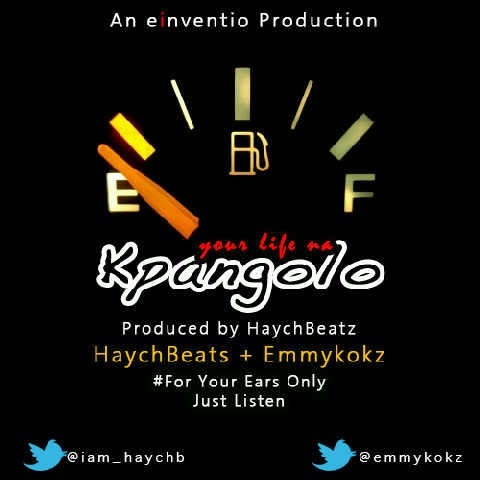 Likes: First of all, I have to say this: These guys (Emmykokz and Haychbeatz) took a huge risk with this song. If you listen to Nigerian Gospel/Christian music today, you'll know what I mean. This song is different. It has a distinct '90s flavor / feel to it (kinda like vegetable soup cooked with stockfish. Distinct flavor). Okay, let's leave the stockfish alone. For now. Thirdly, the song preached the gospel in a very engaging way. The way pidgin was used communicated the message was very effective. Thanks to the songwriting and song arrangement, the flow was just effortless and easy on the ears. The artistes (who are also producers) have managed to produce a song that invites the listener to reflect deeply on the lyrics, without being distracted by the beats. Not an easy feat, I assure you. Even the rap was not out of place. I was pleasantly surprised at the rap delivery. It did not hurt the flow of the song and when it was over, the song picked up from where it stopped. In short, I gbadun the song well well. Two thumbs up! Dislikes: My main gripe with this song is the quality of the recording. While I loved the '90s flavor, I would have preferred to not feel like it was recorded in the '90s. The song could have benefited from a better studio. I would also have loved to know which of the artistes was Emmykokz and which one of them was Haychbeatz. A little intro or name-dropping would have helped. Recommendations: (1) Record more songs like this (2) Improve the quality of the recording.